There’s good news and bad news when it comes to plastic bottles. The good news is that most of them are 100 percent recyclable. The bad news is that plastic bottle recycling in the U.S. could be a lot better. Most of plastic jugs and bottles don’t end up in recycling facilities, but in landfills and oceans. Given that plastic #1 and #2 are the most commonly used types of plastic for bottled water, they are also the most commonly collected. Almost all Americans have access to either curbside or drop-off recycling programs, and yet, plastic bottle recycling is still controversial. Where does all of our plastic go? Some of it is shipped overseas for recycling purposes. Quite a large percentage ends up in landfills. Unfortunately, the vast majority ends up on the loose as plastic pollution, eventually making its way into the ocean. Let’s see some statistics that will help us understand the gravity of the situation and why we need to start recycling and reusing our plastic bottles, instead of throwing them away. Americans use more than 2.5 million plastic bottles every hour, and most of them end up in landfills. Plastic bags and other plastic garbage – such as plastic bottles – kill as many as 1,000,000 fish and sea creatures each year. The Great Pacific Garbage Patch is double the size of Texas and floats somewhere between San Francisco and Hawaii. It weighs over 3.5 million tons and 80 percent of it is plastic. Burning plastic in an incinerator uses twice as much energy as recycling it. PET plastic can be recycled into: sleeping bags, playground equipment, clothing, fiberfill for toys, stuffed animals, rulers and so much more. Only around 27 percent of all used plastic bottles end up in recycling projects. The water is just about 10 percent of the price of a water bottle; the rest is used for marketing, bottling, packaging, and shipping. Somewhere between 827,000 and 1.3 million tons of plastic water bottles were produced in the U.S. in 2006 alone; 76.5 percent of these bottles never saw a recycling unit. It takes plastic water bottles between 400 and 1,000 years to decompose, mostly because they are shielded from sunlight in landfills. The plastic recycling industry has developed in such a way that most types of plastic can be recycling. However, exactly which items you can recycle depends on the recycling initiatives in your area. Local recycling companies and community websites can usually provide you a list of items they recycle. Many of these sites feature visuals that help you figure out what you can recycle. However, you can also visit this website, enter your zip code, and find out what gets thrown away and what doesn’t. But don’t just toss anything in the recycling bin. The wrong items – such as shoes or tape (adhesive, audio, video) – can be harmful to the recycling equipment. Do I Need To Rinse Plastic Bottles Before Recycling? It’s a good idea to prepare your plastics before putting them in the bin. While most containers do not have to be washed, it does make the recycling process if you do so. Also, keep in mind that most programs do prefer if you don’t remove bottle caps (unless specifically noted otherwise). Throwing the caps separately may contribute to litter pollution. Do not mix the wrong types of plastic materials; the recycled material will be of a lower quality. 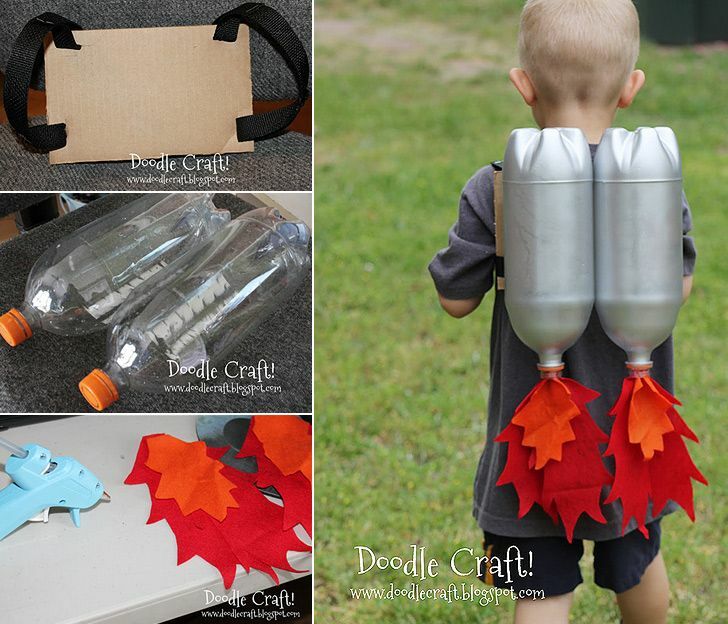 DIY recycling projects are always fun to try, especially seeing that you can minimize your household waste and turn it into something new and useful. The PET plastic bottles are especially easy to work with since they are made of a resilient, flexible, and transparent material. 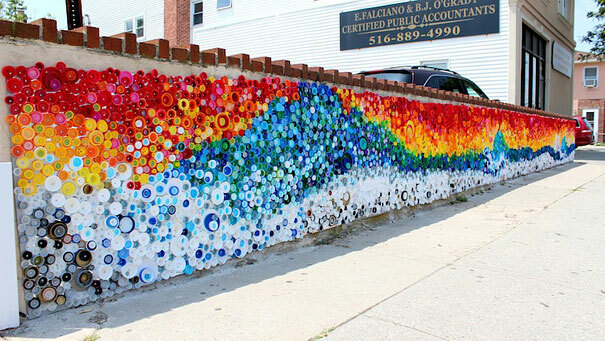 Try these ideas that will give your plastic bottles second lives. How fun is this innovative wall garden? Now only can you reuse your plastic bottles, but you can also grow vegetables, flowers, and various plants. Keep in mind that you can either start your garden from scratch or transplant grown plants into new soil. Do you have many bottle caps laying around and being useless? Turn them into a decorative wall décor, which works well on any kind of wall materials. Let your creative side come out and come up with your own design. 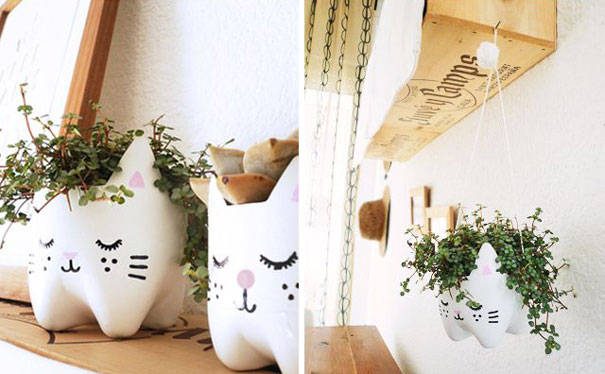 If you’re feeling particularly DIY one day, you definitely must try these cute flower pots made from plastic bottles. You don’t even have to worry about not being creative enough, as you can follow this step-by-step guide to the dot. 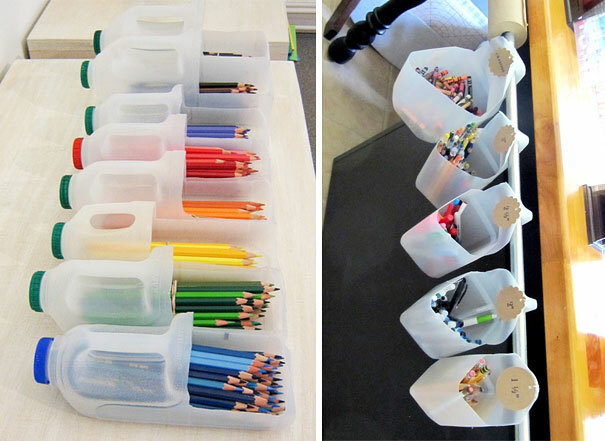 This might be one of the easiest recycling ideas on our list. You just have to be careful when cutting the opening at the bottom; also, make sure you smooth out the container’s rough edges so you – or your kid – don’t get injured. No need to buy expensive furniture. 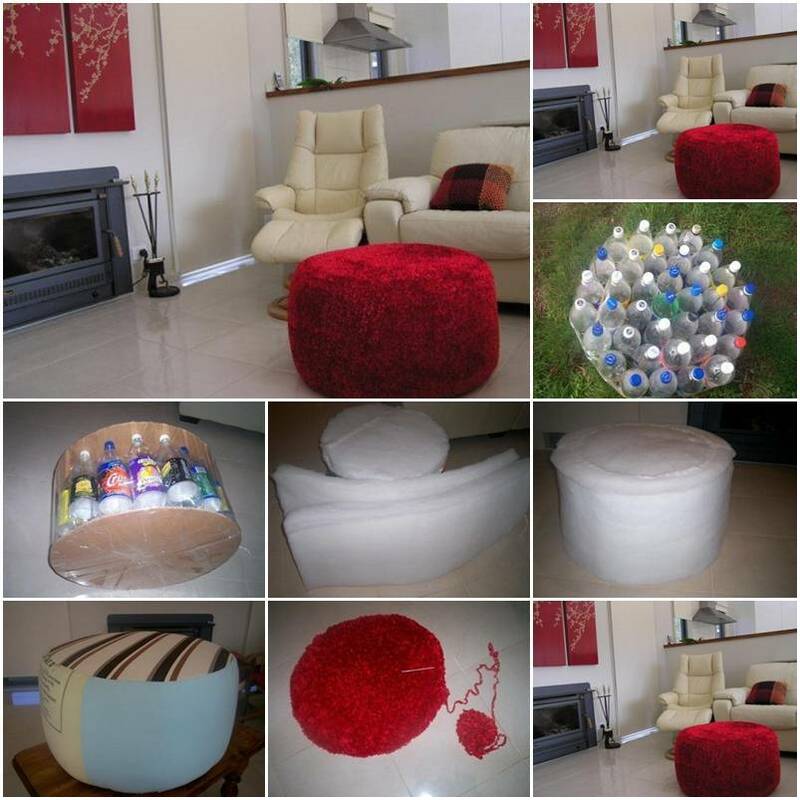 Are you looking for a nice and cozy ottoman? How about making it from scratch? While this recycling/reusing project requires a bit of skill and more materials, the satisfaction of seeing the end product will be that much higher. Follow these instructions for the best results. This DIY is not just extremely easy to make, but will also make your trick-or-treater leap of joy on the next Halloween. If you’re afraid your creative skills are not up to par, follow these step-by-step fail-proof instructions. Now that you are aware of the importance of plastic bottle recycling – and you have some great inspiration for how to do it – what is there left to do? Better get started with one of these easy DIY projects that will help you reduce your carbon footprint.